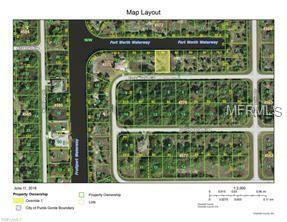 This Gulf access homesite is located in the heart of the popular South Gulf Cove neighborhood. The area has a secluded, private feel and at the same time is located close to the best attractions the Gulf coast of Florida has to offer. You're a short trip by boat or by car to some of the most beautiful beaches in the state at Boca Grande, Venice and Englewood to name a few. Submit an offer now!